The predicted shadow path tracks east to west. There there currently only one prediction feed for this event. The North American Low Magnitude Feed centers the event directly over Gardnerville with all sites withing 2-sigma uncertainty. In advance of this event, please sign up for the event on OccultWatcher. Also, be sure to charge the power supply for the telescope and camera and charge your netbook. Also note that you can practice for both (429) Lotis and (1177) Gonnessia leading up to both events. 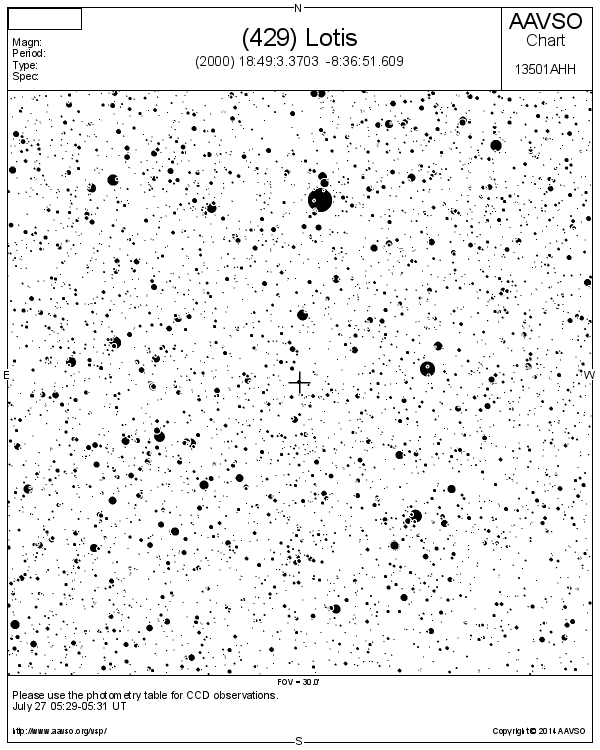 Because it takes the Mallincam time to stabilize after changing sense-up settings, observers should be on the field and change the recording sense-up value by 05:24 UT (10:24 PM PDT). sep is the distance in degrees from the hop star to the field. 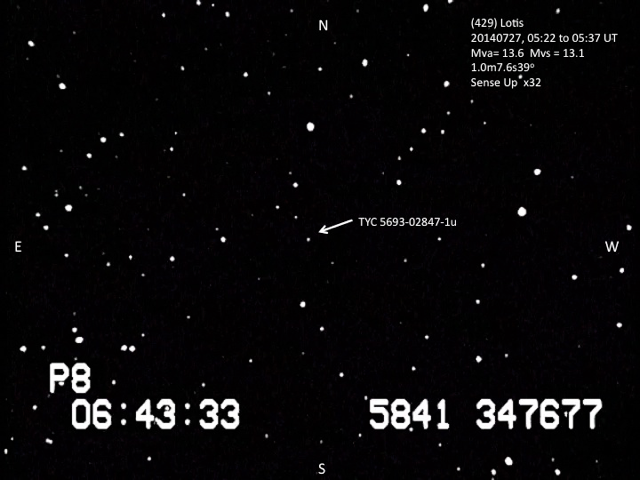 The following starfield image was provided by the Greenville RECON Team. Thanks Bill Gimple and company!